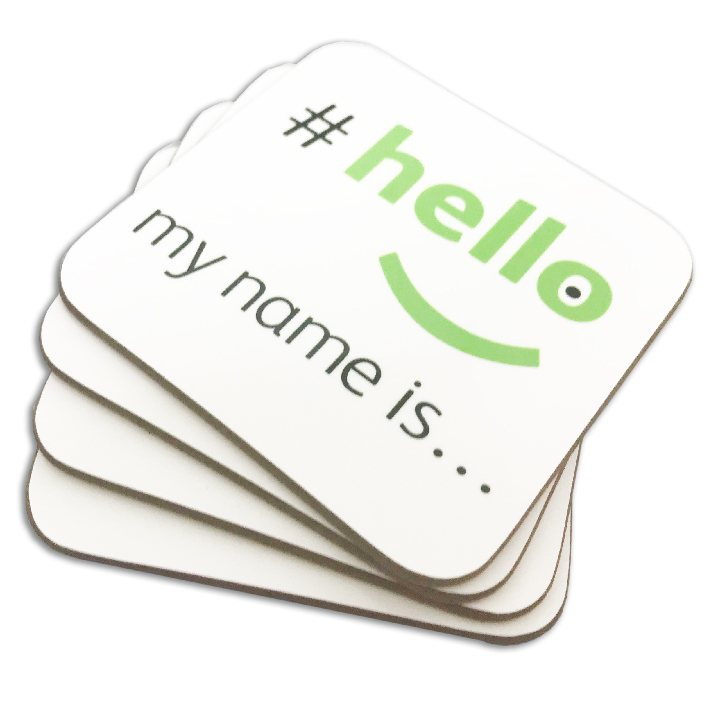 Hard-wearing gloss drinks mat/coaster with full colour hello my name is logo branding. These hardboard coaster are extremely durable and the perfect accessory for any desktop. 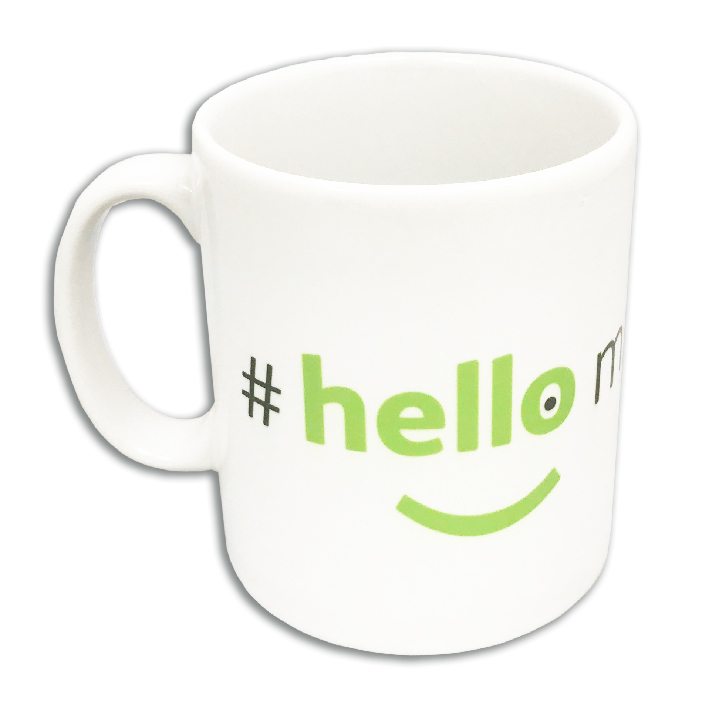 Why not take a look at our branded mugs to make a matching set. 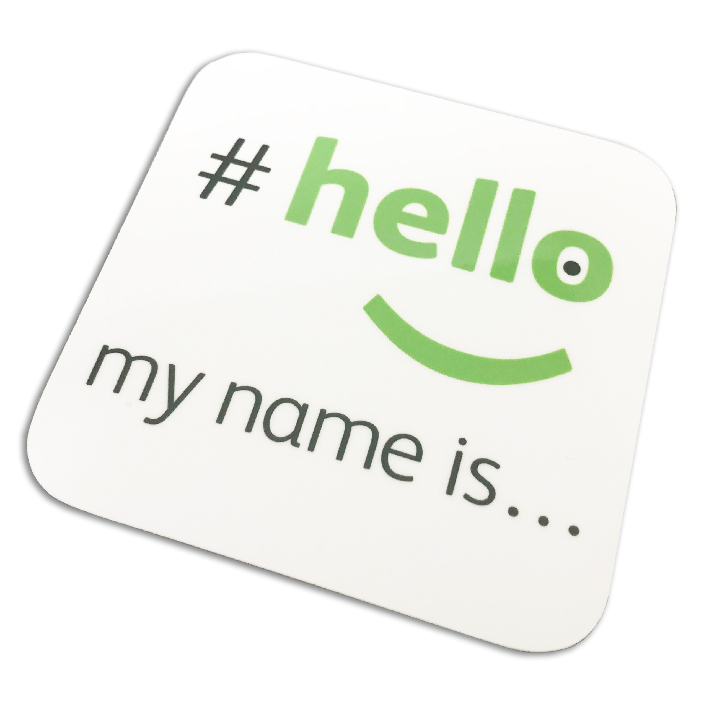 Hard-wearing, hardboard, glossy topped Drinks Mat/Coaster with #hellomynameis branding. 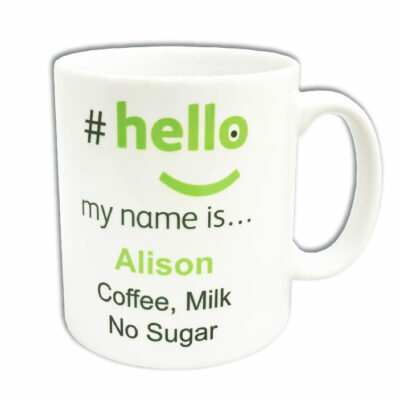 We are an official supplier of these #hellomynameis… coasters and as part of the this campaign we donate .25p for each coaster sold to the Leeds Cares Charity formally know as The Yorkshire Cancer Centre.